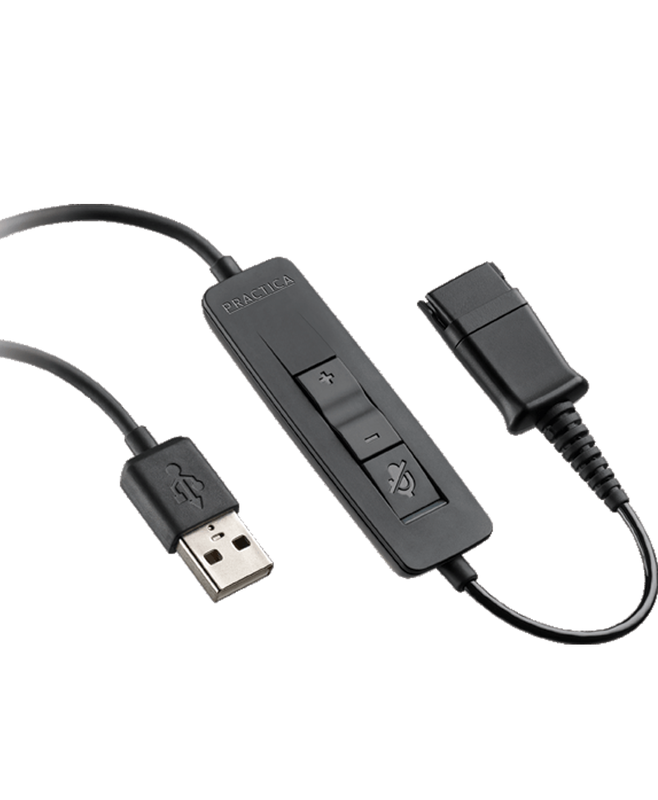 Bring exceptional audio quality to contact center conversations with the Plantronics SP-USB20 USB audio processor. The USB audio processor delivers audio connectivity for SP11-QD and SP12-QD headsets with PC-based softphones via the USB port. Ergonomically designed inline controls provide volume, mute on/off (with LED indicator).